Honda portable generators provide quiet power for camping, RVing, tailgating, races, parties, and more. 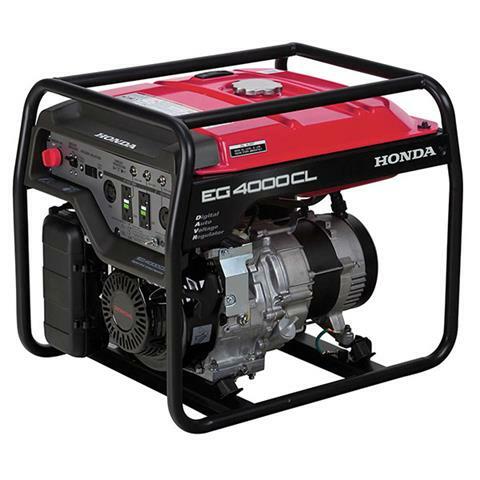 ADVANCED TECHNOLOGY FOR CONSISTENT POWER AND PERFORMANCE: The EG4000 uses Honda's exclusive DAVR (Digital Automatic Voltage Regulator). The DAVR is designed to hold the voltage stability within a +/- 1% range during operation. This provides more consistent power. 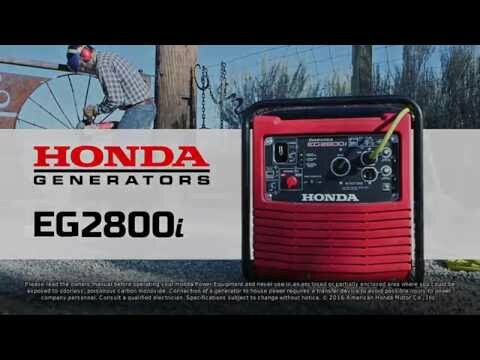 POWERFUL HONDA COMMERCIAL OHV ENGINE: Legendary Honda commercial-grade OHV engines are reliable, easy-to-start and incredibly rugged. 120/240V SELECTOR SWITCH - MORE USABLE POWER, MORE FLEXIBILITY: Choose between using both 120 and 240 Volts, or 120 Volts only. This allows for the total generator output to be available through any of the 120 volt outlets, limited only by the capacity of the individual outlet. This enables you to power units with larger wattage requirements. RUNS 15.7 HOURS @ 50% LOAD (6.3 GAL. ): Keeps you working, all day long. PROTECTED BY HONDA OIL ALERT®: Protects the generator by shutting the engine off when low oil is detected. 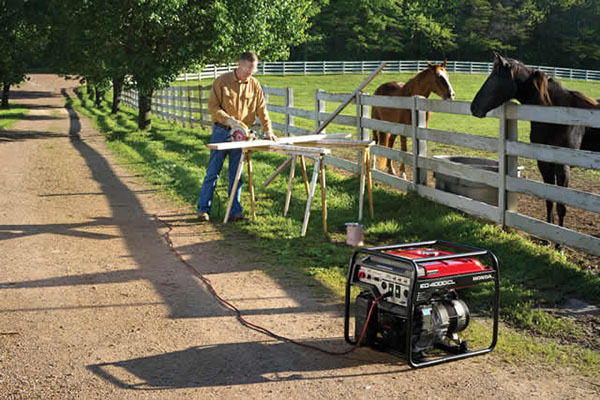 TOUGH ONE-PIECE WELDED FRAME: Helps protect the generator. GFCI PROTECTION: The EG4000 offers 2 duplex outlets with GFCI protection. USDA-QUALIFIED SPARK ARRESTOR / MUFFLER. ELECTRONIC CIRCUIT BREAKERS: Protects the generator from being overloaded.